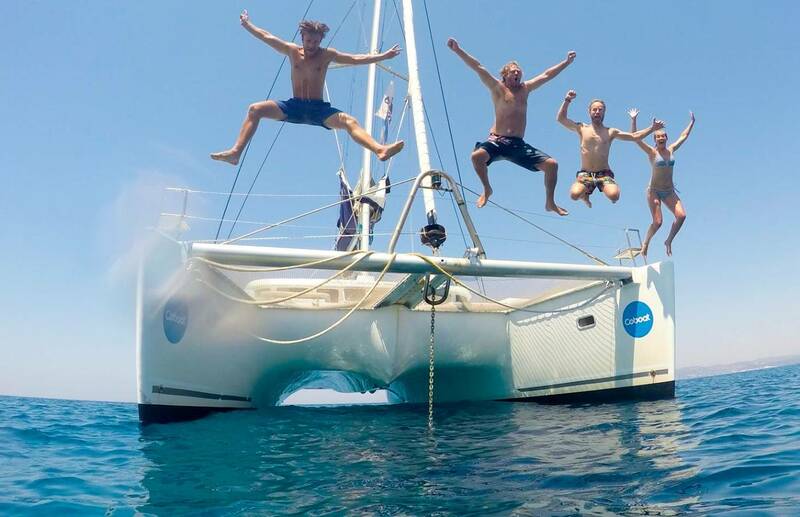 Open Colleges has spoken to digital nomads from around the world to learn more about this new lifestyle of perpetual travel while working online. At Open Colleges we strive to inspire and empower people to change their lives for the better, and we believe this location independent career choice could be something some people are waiting for. 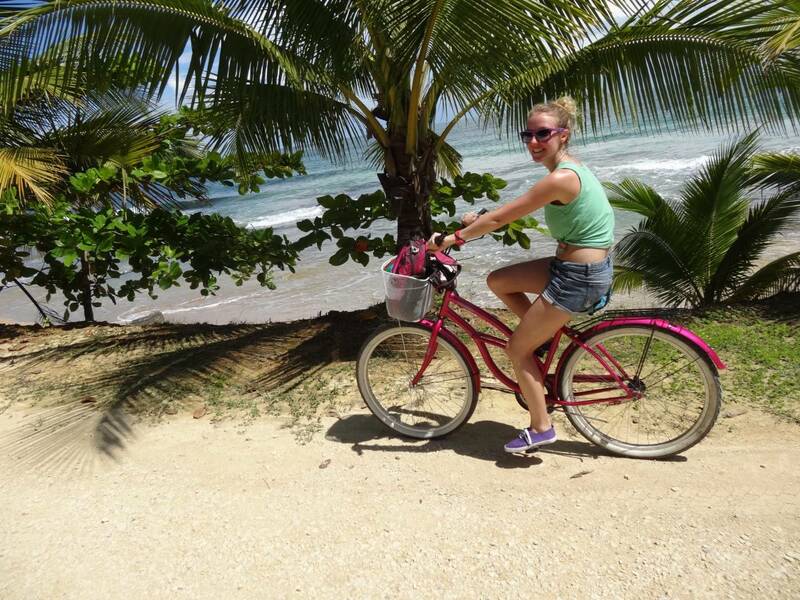 Our writer, Jennifer Lachs, is a former chemist who left science in 2013 to pursue a life of travel. 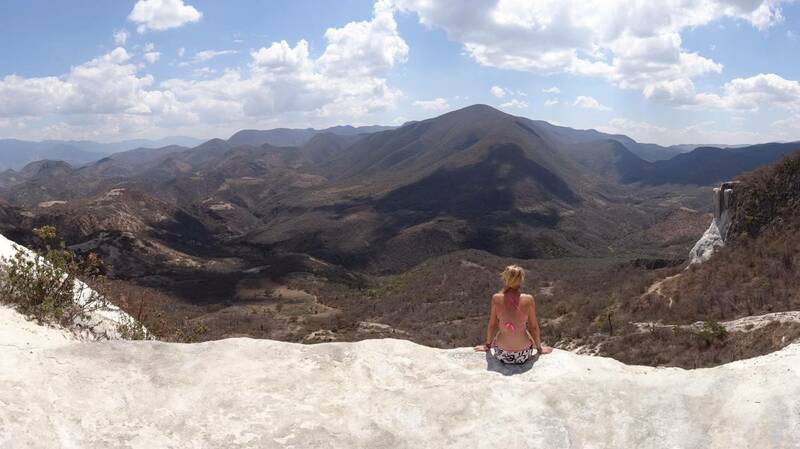 She has since embraced the digital nomad lifestyle, working as a writer, social media manager and translator. Her journey has taken her to over 20 countries around the world so far. This guide offers you the best advice on how to change your lifestyle and become a digital nomad. Before you go it alone, why not enhance your skills and increase your credibility to future clients with one of our accredited courses. What jobs do digital nomads do? Where do digital nomads work from? To easily scroll between these sections, you can use the blue dots on the right hand side. While this definition of the term ‘digital nomad’ might sound overly romantic, it conveniently allows for the diverse types of digital nomad out there. Anybody who can carry out their job with just a laptop and an internet connection can technically become a digital nomad. The concept of the digital nomad isn’t at all new, many people have been working while travelling since the internet went mainstream in the early 2000’s. However, there has been a recent surge in articles written and photos shared on social media related to location independent jobs. A quick search for the term ‘digital nomad’ on Google returns a whopping 3.07 million results – and as this figure is growing daily, it is probably now out of date! But is this lifestyle really all that it’s hyped up to be? 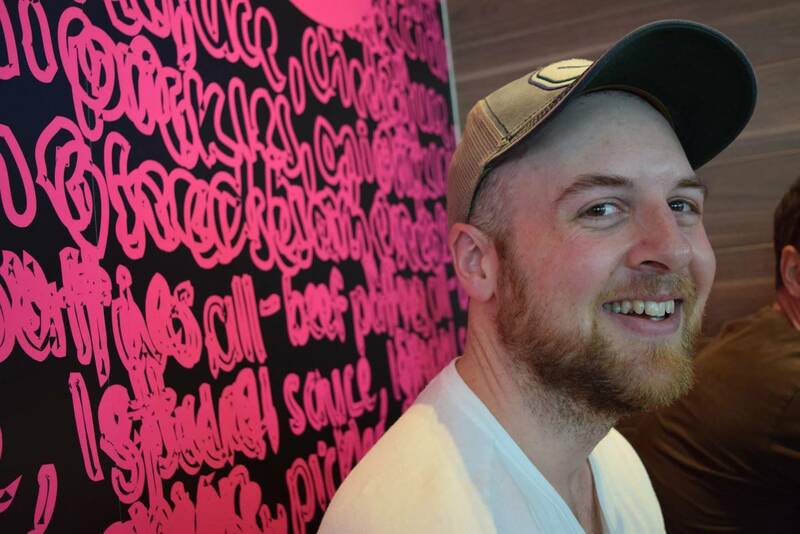 And if so, how can you join in and become a digital nomad too? Let’s find out. Due to their migratory nature, it’s impossible to tell exactly how many people are living as digital nomads. But some statistics and surveys give us a reasonable idea of the scale. A good indicator of the scale of the digital nomad movement is a 2014 survey conducted by the popular freelance job site, Upwork, among its 12 million plus registered freelancers. Among the participants, 39% of freelancers described themselves as digital nomads, with 79% of these stating that they expected to be digital nomads for the rest of their lives. Almost 50% of those who classified themselves as digital nomads, had become location independent in the last 12 months. Furthermore, a 2015 study by Upwork revealed that 32% of the Australian workforce, or 4.1 million Aussies, have undertaken some sort of freelance work in the past year, up 2% from the previous year. In addition, the Australian Federal Government is currently working on getting 12% of their employees to work from home or remotely by 2020. These numbers show that there’s a definite upward trend in freelancing and digital nomadism. Remote working trends are growing worldwide, and taking the faster internet connections and growing millennial workforce (who value travel) into account, it is safe to say that digital nomadism is here to stay. In his 2015 DNX Global talk, Pieter Levels, founder of Nomadlist, took a tentative look into the future of digital nomads and estimated that by 2050 up to 1 billion people could be digital nomads. 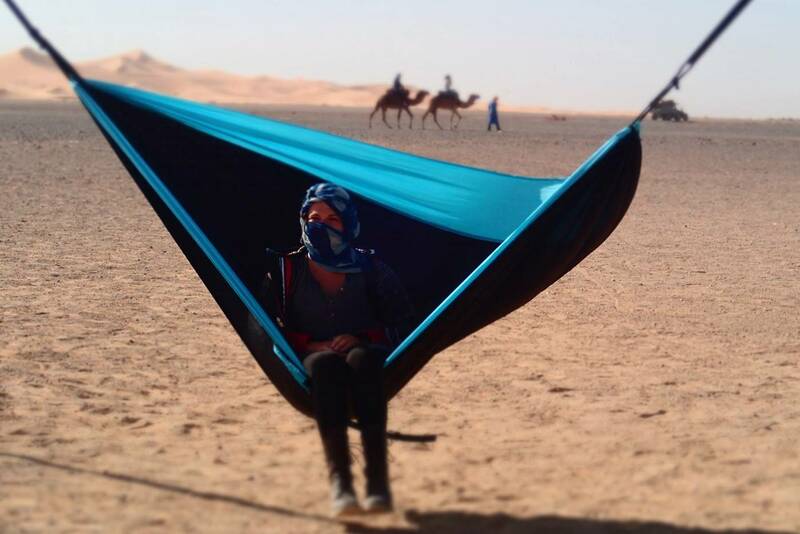 The burning question is: how do digital nomads make money? The good news is that more and more jobs can be performed online, and there is no shortage of ‘work from anywhere’ careers. Before picking a job, it is important to think about which work model you’d like to follow: freelancing, remote employee, entrepreneurship or passive income. These options are dependent on the industry you want to work within, the experience you have and the nature of the work you want to do. We will go into more detail for each of these models in the next section; but we will now look at some of the popular location independent jobs available. In theory, every job that can be carried out with just a laptop and an internet connection can be performed location independently. Traditional work-from-home jobs and technical jobs are the most obvious choice, but they are certainly not the only options. Technical jobs like web development or writing and photography may come to mind first, but customer service and administrative jobs can be just as feasible as creative jobs. All forms of digital marketing are also popular choices for digital nomads. In particular, social media management is becoming increasingly attractive thanks to scheduling tools that allow you to plan your work ahead of time. Do you need an office for your job? If you’re interested in any of the above careers or are looking to change career, take a look at our careers hub for advice, information and inspiration. Technically, digital nomads can work wherever there is good Wi-Fi. In reality there are many more things to take into account. Many nomads choose to escape winter at home and chase the sun; but some more important aspects are visa considerations, safety, recreational options (such as yoga and kitesurfing) and, of course, affordability. But how do you choose when you have so many options? One of the most useful tools for searching destinations to work and travel is Nomad List. Nomad List is a crowdsourced platform, that allows users to search for cities according to a comprehensive set of filters like many of those previously mentioned. 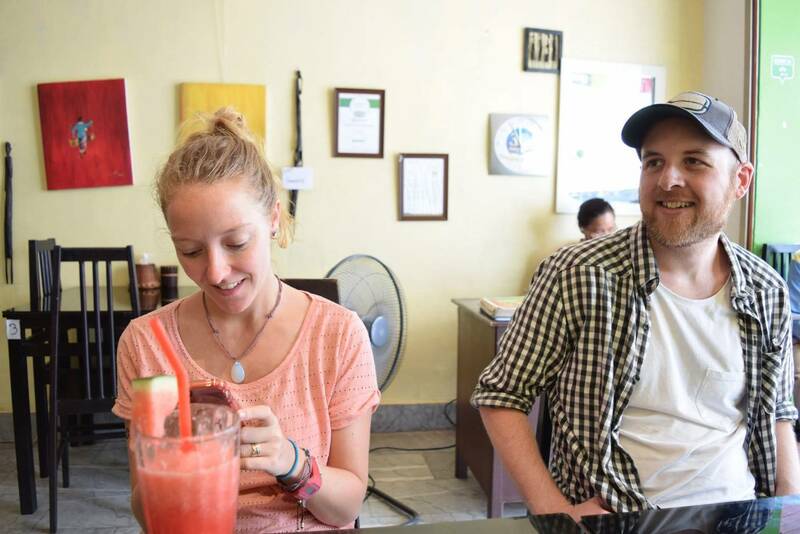 The Northern Thai mountain town Chiang Mai is known as the world’s digital nomad hotspot. It has long made a name for itself due to its affordability and comfort for foreigners. For around AU$900 per month you can live well in Chiang Mai—this can get you a basic studio apartment, three meals out a day, access to a co-working space, and transportation. 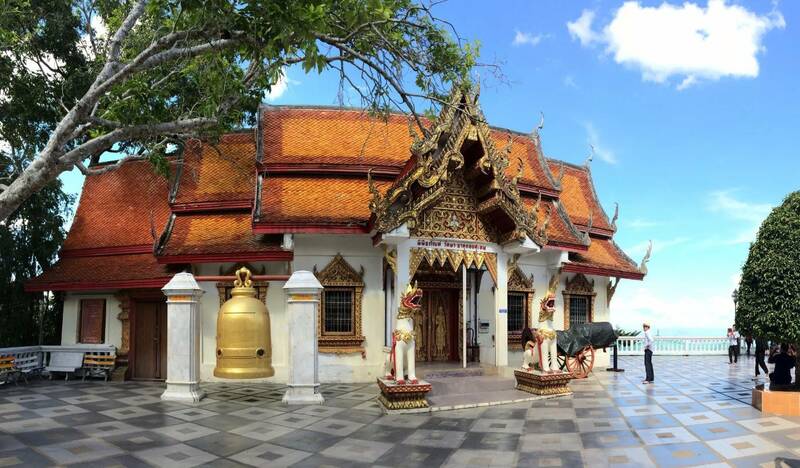 “Chiang Mai is a magical place that not only attracts a ton of digital nomads, but also the ones with the right mindsets to really want to be part of a community. Combined with its super low cost of living, stable internet and established community, it's the only place in the world to go and get plugged in straight away with the nomad scene at least as of 2016.” - Johnny Jen, online entrepreneur and blogger. Fast, reliable Wi-Fi is the holy grail for digital nomads. You have probably seen the photos of digital nomads typing away at their laptops with a beautiful beach or pool as a backdrop. Although this isn’t the most ideal day-to-day office setting, there’s something to be said for working outdoors, maybe in a hammock, once in a while. 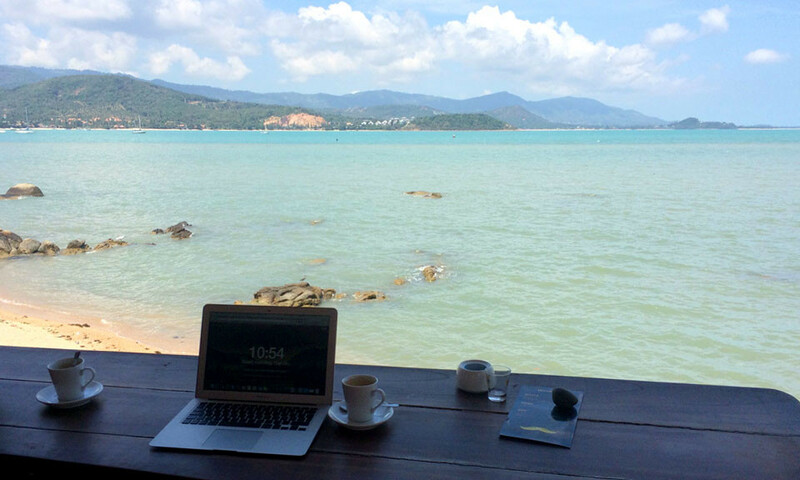 It can be very inspiring and can give your creativity a real boost to work in exotic locations occasionally. Since their invention in 2005, co-working spaces have revolutionised the concept of offices and work. They are open plan offices with desk space available to rent by the day, week or month. It might sound counterintuitive to pay to work from an office when you’re trying to escape the 9-5 cubicle life, but co-working is great for productivity and most importantly, community. In 2015, the Harvard Business Review did some research on co-working spaces and why workers who use them thrive. It found that “connections with others are a big reason why people pay to work in a communal space, as opposed to working from home for free or renting a nondescript office.” Whether you want to go for lunch or start a collaboration, co-working makes meeting likeminded people very easy. There is definitely a growing demand for co-working spaces, as in the last 10 years the number available internationally has roughly doubled each year. Another option is to work from your accommodation. If the Wi-Fi is good and you have a quiet space to work, then this is the cheapest option. It is important to make sure you have access to a desk or table and a comfortable chair when working from home. However, a new type of hostel is emerging that caters to travellers who work by incorporating a co-working space. Entrepreneurs around the world have long relied on the free Wi-Fi in coffee shops, and making them a temporary headquarters. Working from cafes is very common, and in many Asian countries staying there all day is accepted. Just be sure to order a few drinks! Dedicated co-working cafés like St. Oberholz in Berlin, are a great mid-way solution, combining the comfortable atmosphere and affordability of a café with fast and reliable Wi-Fi of a co-working space. Combined co-working and co-living spaces, some of them quite exotic, are the latest trend amongst digital nomads. Designated co-living space are springing up all over the world, from Sun and Co in Spain, to Sun Desk in Morocco. Remote Year is a program that gathers a group of 75 digital nomads to travel around the world together for one year. The group moves to a new city in a new country every month and the company takes care of accommodation, co-working spaces and transport for you. Now running their 5th cohort, Remote Year are the forerunner of digital nomad experiences and specialise in remote working. Many similar programs with different focuses or durations have since sprung up, including Wifi Tribe, Terminal 3, and We Roam. 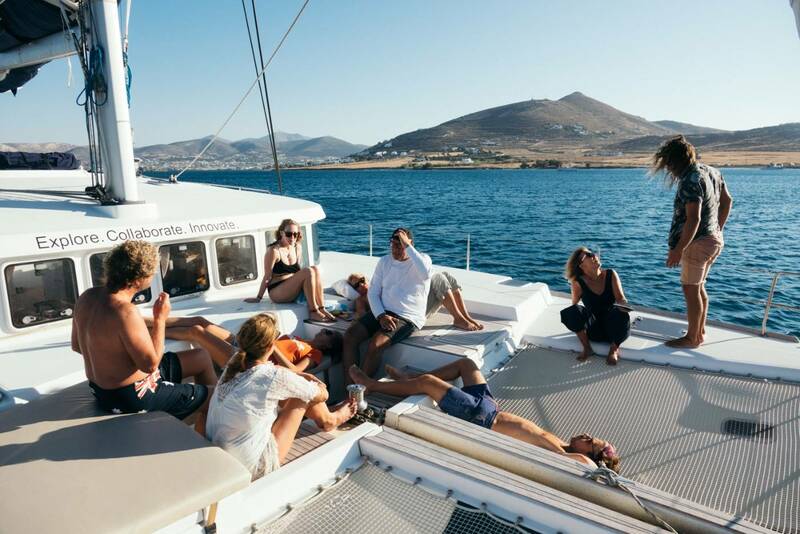 One of the most innovative co-living experiences is Coboat, a co-working space on a 50-foot catamaran. Again, this is almost impossible to pinpoint. Many online entrepreneurs, like blogger and affiliate marketer, Sharon Gourlay, boast five-figure monthly incomes; but many nomads, especially when starting out, make far less than this. It really depends on the line of work, your experience, and whether you work full time or part time. An interesting thread on popular discussion site Reddit addressed the topic of digital nomad income in 2015. As expected the answers were very varied, from freelance social media managers earning as little as AU$1600 a month when they started out, to programmers earning up to a whopping $25,000 per month with client work. According to recent trends reported by remote job board Remote OK, the highest paying remote jobs are different types of web development, followed by marketing, sales, copy writing, graphic design and social media. However, the 2014 Upwork survey found that 59% of the digital nomads interviewed saw an increase in income after going nomadic vs. 17% with no income change and 24% who saw a decrease. This again highlights the growth and opportunity of this lifestyle choice. Now that you know how digital nomads earn a living, where they like to travel and work from, and how much they can potentially earn, we will take a look at some of the reasons for pursuing this lifestyle. An underlying desire to travel and see the world is the reason most digital nomads choose this lifestyle. A recent study by Cornell University has shown that spending money on experiences rather than material possessions makes you happier. Travel is the ultimate experience as it allows you to break out of your routine, meet new people, step out of your comfort zone and ultimately makes you happier. The regular 2 to 4 weeks of annual holiday are simply not enough to satisfy real wanderlust, so take your work on the road and travel perpetually. Geo arbitrage is a concept made popular by Tim Ferriss. It means taking advantage of price differences between countries by earning a salary in your home country while living at a much lower cost abroad. A Western salary will allow you to live at a much higher standard in a cheaper country. It can be hard to build your own business while still working a regular corporate job. Geo arbitrage allows many aspiring entrepreneurs to live comfortably from their savings or part-time freelance salary, while bootstrapping their businesses by living in a much cheaper country. For example, a freelancer who earns AU$1000 per month for part time work may not be able to support themselves in Sydney or Melbourne. If they move to Thailand or Vietnam on the other hand, they will be able to live relatively comfortably and have enough free time to work on their own start-ups, due to the difference in cost of living. Travel can teach you many skills that would be valuable on your resume for future job roles or running your own business. You can easily pick up language skills by immersing yourself in new cultures, and solo travel, in particular, is great for improving confidence and learning a thing or two about problem solving. Being self-employed means you are self-motivated, well organised, creative, disciplined, have great time management skills and are in charge of your finances. All of these skills are highly valued by employers should you ever wish to take a break from travelling. The digital nomad community is very active, making it easy to meet likeminded people. You will undoubtedly expand your network of friends, travel partners and possible collaborators or cofounders. In fact, many digital nomads start businesses together. Paula Schwarz met the co-founder of her company StartupAid, a platform that offers support to start-ups working on migration related challenges, during a sailing trip on Startupboat. From increased happiness, to expanding your network, bootstrapping a business to learning new skills, the digital nomad lifestyle offers a lot of room for growth. While the benefits of living a location independent lifestyle differ from person to person, ultimately, what all nomads are looking for is a sense of freedom, fulfilment, and happiness. Getting started as a digital nomad can be daunting; as it is still a relatively new lifestyle choice, you might not know anybody else who is working location independently. How you start out depends heavily on which work model you would like to follow and how much travel experience you already have. Another important factor to take into consideration is how much money you need to earn in order to travel and live comfortably. Every journey is different, but here we’ve tried our best to simplify things and put together a step-by-step guide on how to become a digital nomad. As we mentioned in section one, digital nomads can fall into several different categories. This all depends on the work they carry out, the industry they are in and the way they wish to work. Let’s find out which one you may fall into. If you already have the skills that allow you to work remotely and are currently in an employed role, you could consider negotiating remote working conditions with your boss. In order to make a good case you should do your research and prove to your boss that you will be able to perform your role and stay on task while travelling. 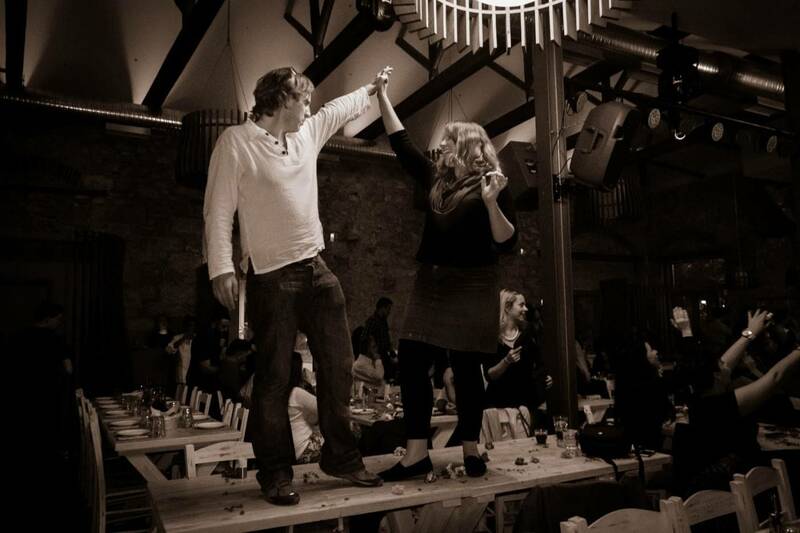 Jennifer & Nick met in a co-working space. However, understandably, this isn’t always a viable option so you may need to consider one of the other options below. If you’re already running your own online business, like an ecommerce store or a web-design business, then going nomadic might simply mean taking your work on the road for a week or two for a trial run. If your business is already larger and you have employees, there are many more things to take into account that go beyond the scope of this article. This article on Medium gives a nice overview of some start-ups that now operate entirely remotely, providing a good starting point. 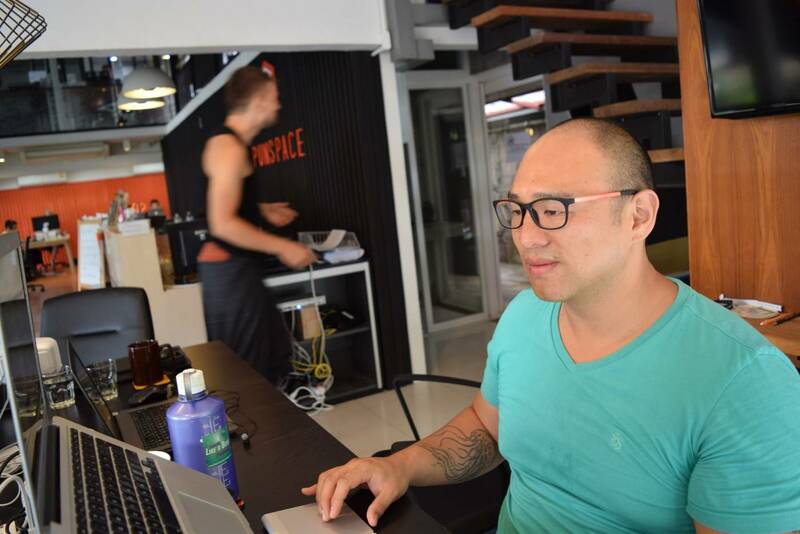 If you are looking to launch a start-up while travelling, settling down in a hub like Ubud or Chiang Mai for a few months might be a good idea. Changing location too frequently can be very disruptive, but is possible. Jay Meistrich, co-founder and CEO at Moo.do, built his start-up while travelling to 20 countries in one year. 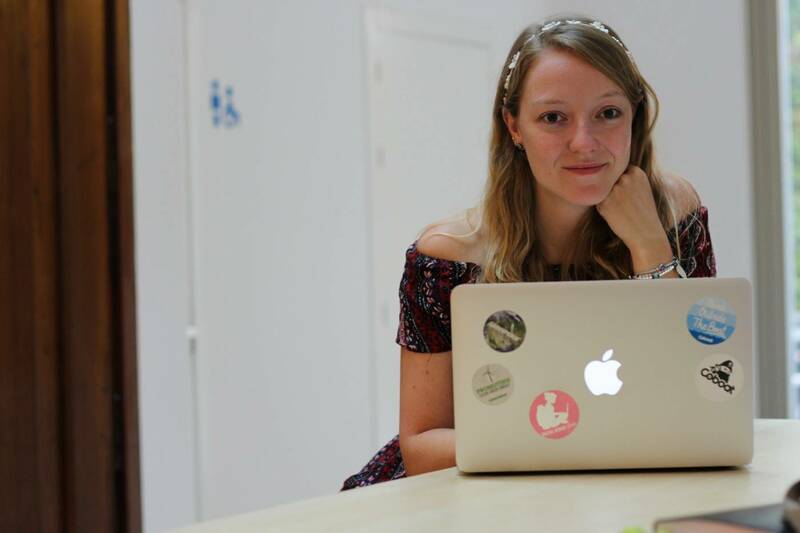 Emily now runs her business from even the remotest places around the globe. Freelancing is a great way to get started as you can capitalise on your skills and talents. If you’re already a freelancer who works from home, you are only a few steps away from becoming a digital nomad. Simply test the lifestyle for a week or two and see if it suits you. Inform your clients before you decide to go abroad. It is good to address any reservations or questions they have about the nomadic lifestyle and test all your systems before leaving home. For example, if you usually meet your client in person, use Skype or Slack to communicate with them for a few weeks while still at home, so you can make sure you’re both comfortable with the technology. If you are new to freelancing, try to get some work experience, or find one or two regular clients before you go abroad. Jump to step 2 to find out how. One of the most popular ideas, thanks to Tim Ferriss’ international bestseller The 4-Hour Workweek, is to generate passive income. Passive income is defined as “an income received on a regular basis, with little effort required to maintain it.” The appeal of generating passive income is obvious, you can travel and enjoy yourself while making money without having to do any regular work. The most popular ways to generate passive income are ecommerce – especially dropshipping, a type of ecommerce that doesn’t require you to hold any stock, blogging, and affiliate marketing. No matter which route you choose, make sure you either have enough savings to live off for at least a few months while setting up your passive income stream. Alternatively start working on it on the side whilst keeping your day job. Once your systems are working and you are earning passively, you can start to travel more, but be prepared to put in a lot of work upfront. In reality, most digital nomads’ work is a combination of these options. They find this flexibility is attractive as it allows them to use and learn different skills and stay motivated. Diversification of income is also sensible as it gives you more stability and security. Whether you’re an entrepreneur, a freelancer or earning passive income, it’s likely you’re going to need some clients and/or customers. So where do you start? The best way to get started may be to use your existing network. For example, let’s say you’re a graphic designer; you should tell people that you are now freelancing, and offer to help friends and family with their projects in exchange for a great testimonial and possibly future referrals. You will be surprised at how easily you can make connections when you share your skills with others so freely. Freelancing platforms like Upwork, Fiverr, Freelancer, and People Per Hour are all specifically designed to connect freelancers from different industries with clients. The idea behind most of these platforms is that a client posts a freelance job, and interested freelancers will bid on it. The jobs range from writing to design, translation to legal advice, web development to social media marketing. Both one-off, as well as regular jobs, are posted and they can be a great way to find regular clients. A blooming freelancing career is often the first step to starting your own business. You may build up regular clients, which may lead to more work and a need for more manpower. Before you know it you’re outsourcing work, employing other freelancers and are the CEO of your own agency. Emily Healy took the big step from freelancing in digital marketing to starting her own agency, Entrr., in 2015. One of the best things you can do is start your own website. Having an online presence is incredibly important; think of it as your business card, but more powerful, because it allows people to find you. Nowadays, you can create a simple and professional website on Wordpress without any technical skills. Adding your own blog is a great way to showcase your skills and helps to drive traffic to your website. You can use your portfolio to build trust with prospective clients, by showing them what work you have done previously or perhaps an accreditation you have received. Becoming a digital nomad can be a great chance to learn new skills through online learning; an accredited course may even help you win new business as well as help you grow professionally. Most importantly, connect with other freelancers and digital nomads. The community is very open and helpful, and you might find a new client or project within your network. LinkedIn is a very powerful tool to expand your network and make useful connections, make sure your profile is up-to-date and relevant. Packing lists are a popular theme among travellers and digital nomads. How do you pack your whole life and office into one suitcase or backpack? The right equipment is crucial, both for your productivity and health. The amount of gadgets you need depends on your personal preferences and will determine how light you will be able to pack and whether you’ll be able to travel carry-on only. In order to stay connected while on the go, most digital nomads buy local SIM cards for their smartphones. Each country is different, but in general it is quite easy and affordable to get a prepaid SIM with a few gigabytes of data and some minutes. Just make sure your phone is not still locked to a home network first. How you get insured will depend on where you’re travelling, how long you will be away and what insurance you have in your home country. Most digital nomads get travel health insurance, and some insurances even cover your electronic devices. 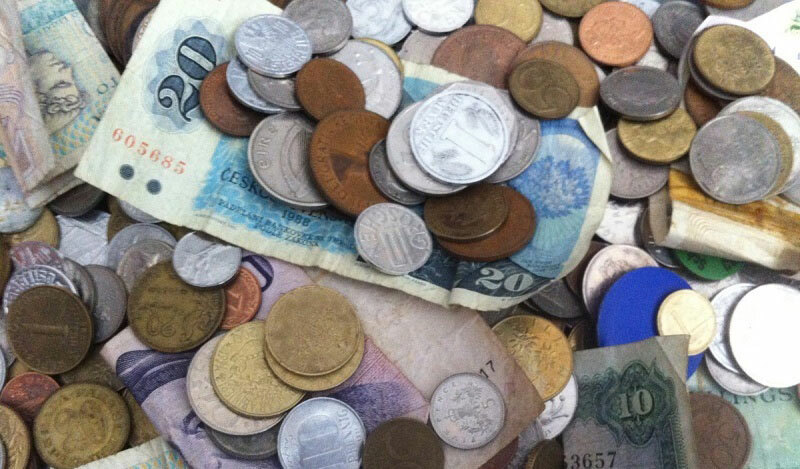 Banking is another topic that causes a lot of confusion among digital nomads. PayPal and Transferwise are good ways to get paid by clients. Try to get hold of a debit and/or credit card that doesn’t charge you any fees for withdrawals and transactions abroad. What visas you need to get (if you need any at all) depends on the countries you’re planning to visit, the duration you’re planning to stay and what type of work you will carry out. Most digital nomads travel on normal tourist visas because they aren’t running a business in the countries they visit, but instead have their businesses registered in their home country. Always check visa regulations before visiting a new country. Travelling whilst working, meeting new people, seeing new sights, and eating new food every day is incredibly exciting, but can also be very exhausting. In order to make sure you stay motivated you should find a routine that works for you. It doesn’t have to be a classic 9 to 5 set-up, but having structure and routine in your life helps with productivity and can increase happiness. Many digital nomads develop a personal morning and evening routine to help them balance work and travel. Marcus Meurer, co-founder of DNX, swears by an early wake up with sunrise, making his bed, stretching and meditation for his personal morning routine, before using productivity tools to help him structure his day. One of the best things you can do to improve your motivation and productivity is to surround yourself with like-minded people. Easier said than done if you’re on the move and exploring new places every few weeks or months. The growing need for community is met by an increasing number of digital nomad experiences, retreats, co-living spaces and meet-ups. There are also many ways to connect with others online, including Facebook Groups, Slack-based chat #Nomads, and Meetup. “Remote workers like the idea of spending time with likeminded people. Since it’s a new movement and there are so many misconceptions about it, it helps spending time together defining and optimising the concept. Remote workers also know how powerful networks are in life. 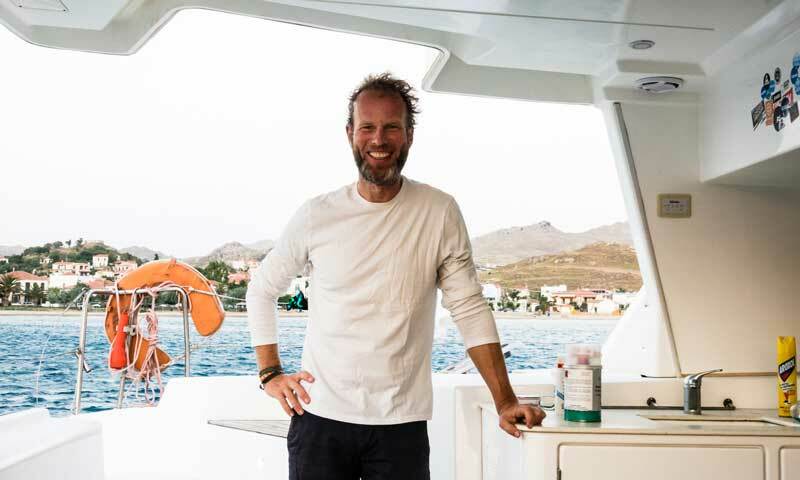 That’s why they like to make new connections and want to meet as many people they can.” - Gerald Schömbs, co-founder of Coboat. Now that you know how to get started as a digital nomad, what work you can take on the road, how to get clients and stay motivated, we will share some real life digital nomad stories for some extra inspiration. In order to give you a glimpse into the everyday life of digital nomads, Open Colleges has spoken to a handful of nomads from Australia and beyond. Job: Former research chemist, now freelance writer and social media manager. After finishing my PhD in Organic Chemistry, I decided to take a break from research and went on a year-long round-the-world trip with my partner, Simon. We travelled around South and Central America, the States and Fiji before settling down in Australia on a working holiday visa for a year. 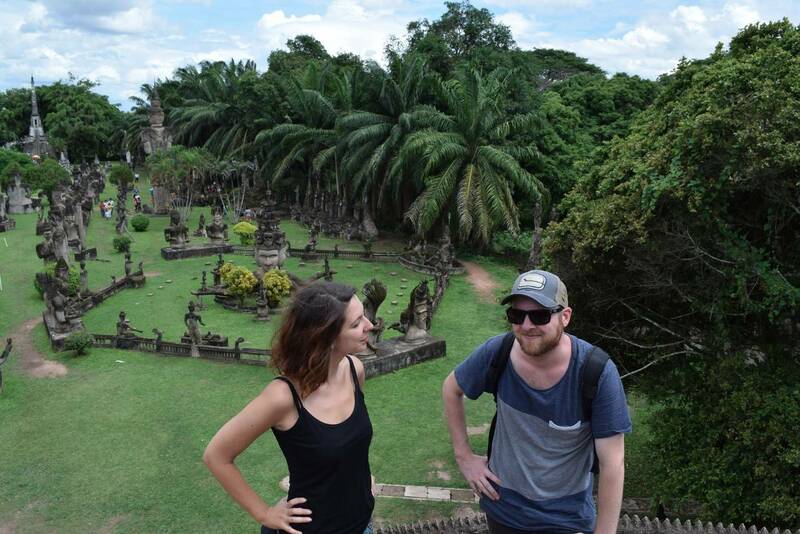 During this time, we realised we wanted to continue travelling long-term and I found out about the digital nomad lifestyle through podcasts and blogs. We were worried that our research background wouldn’t allow for location independent careers, so we decided to move to Chiang Mai where our money would last longer to figure out a way to make it work. I started freelance writing and Simon became a freelance science editor. It turns out that having a solid education, even if we’re not applying it directly, really helped us both to quickly find work in other fields, and research skills come in handy in writing and editing, too. Working in co-working spaces and going to meet-ups we quickly got involved in the digital nomad community. 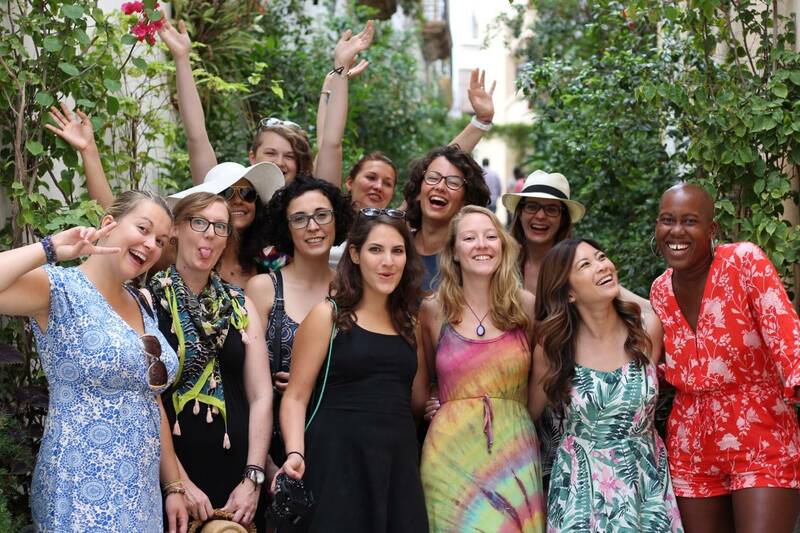 I noticed that the majority of digital nomads in Chiang Mai were male and in order to meet more like-minded girls I started a community called Digital Nomad Girls. In just one year our Facebook group has grown to over 4000 members, we have hosted meet-ups in many different cities already and it is wonderful to see like-minded girls connect, collaborate, network and make friends. I am now organising a retreat for 14 girls in Spain and hope to continue this as a side project for many more years. We have since travelled and worked in Thailand, Vietnam, Cambodia, Germany, Italy and the UK. We enjoy the freedom to spend time with our families in Europe and escape again before winter sets in. Leslie is a retired nurse and former Open Colleges student. 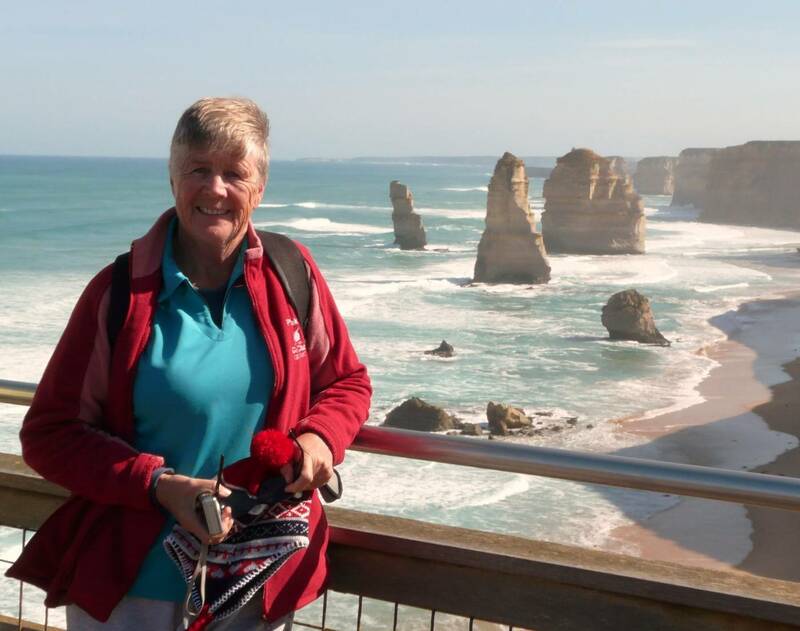 She travelled around Australia in a campervan with her husband while studying for a Certificate II in Information, Digital Media and Technology. 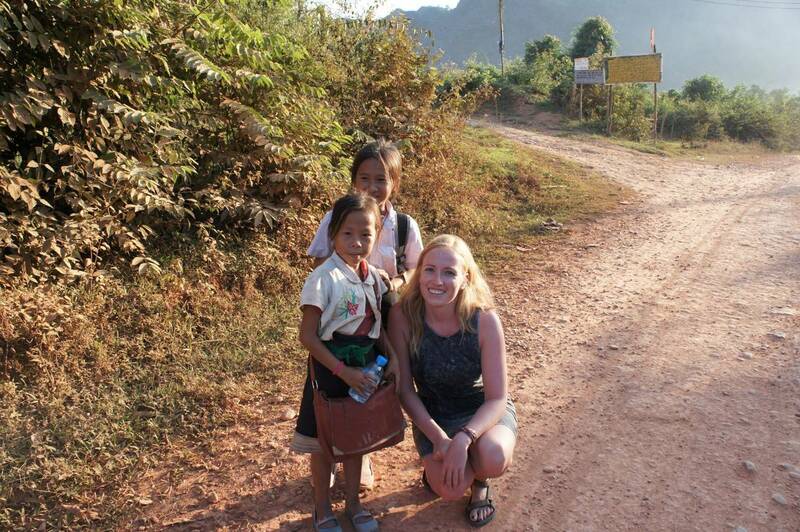 Her inspiring story shows that even students can live a nomadic life, travelling while studying online. After being unsuccessful in early years of education, Leslie discovered that she enjoyed studying on her own terms with some guidance. She had always used computers at work and wanted to learn more. 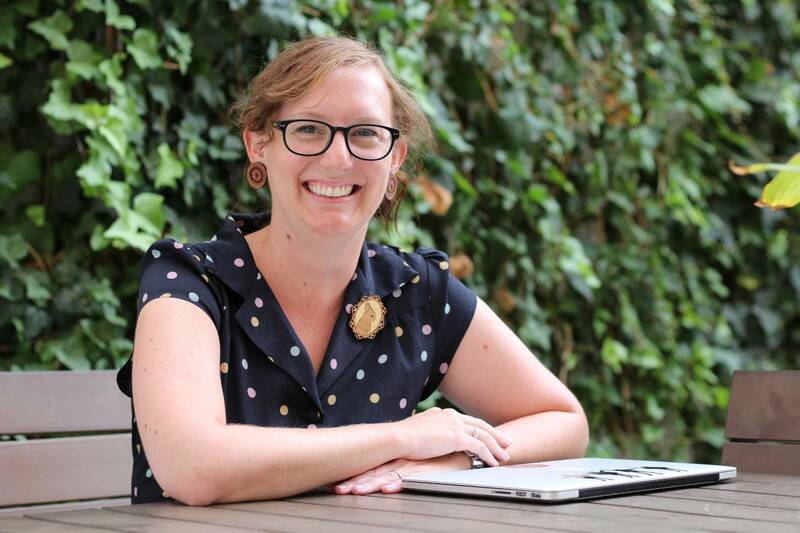 The idea to travel while studying online came quite naturally to Leslie and her husband. So if you too are thinking of studying whilst travelling, Leslie offers some words of encouragement. Meagan Collins, together with her partner, have been digital nomads since April 2013 and have visited over 45 countries together. 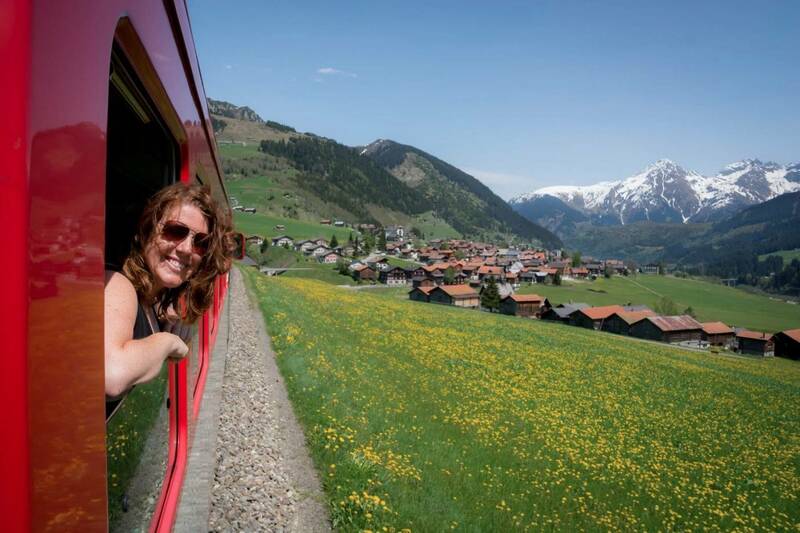 Fittingly for a travel blogger, Meg’s background lies in the travel industry. 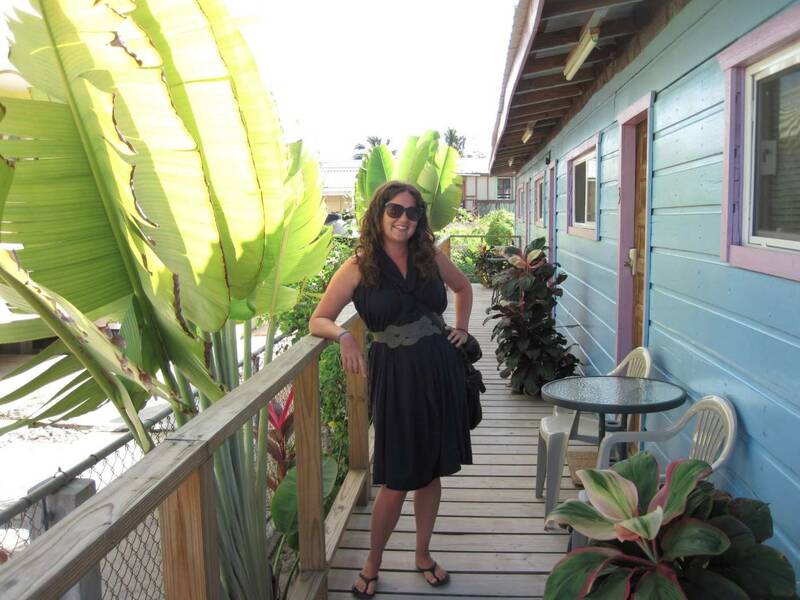 Before deciding to embrace the location independent lifestyle, Meg worked as a wholesale travel agent specializing in cruises. She also worked on board a Princess Cruise ship for over 3 years, where she met her partner and business partner, Tom, before they changed careers together. 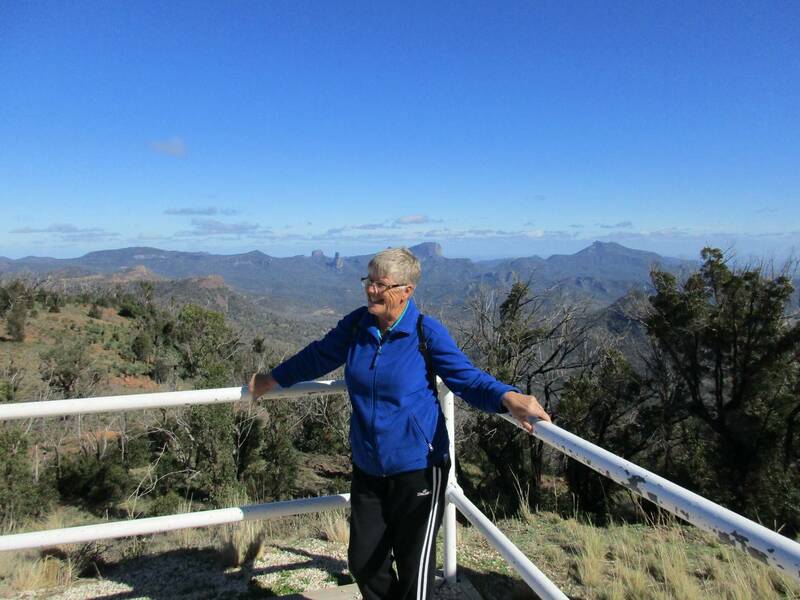 Although “it’s not all beaches and beers”, Meg thinks the benefits definitely outweigh the potential challenges of the lifestyle. Job: Software engineer, both remotely for a Melbourne-based business and as a freelancer. Nick Krambousanos has been a digital nomad since 2014, travelling to many destinations in Asia and the US. Job: Entrepreneur and e-commerce consultant. 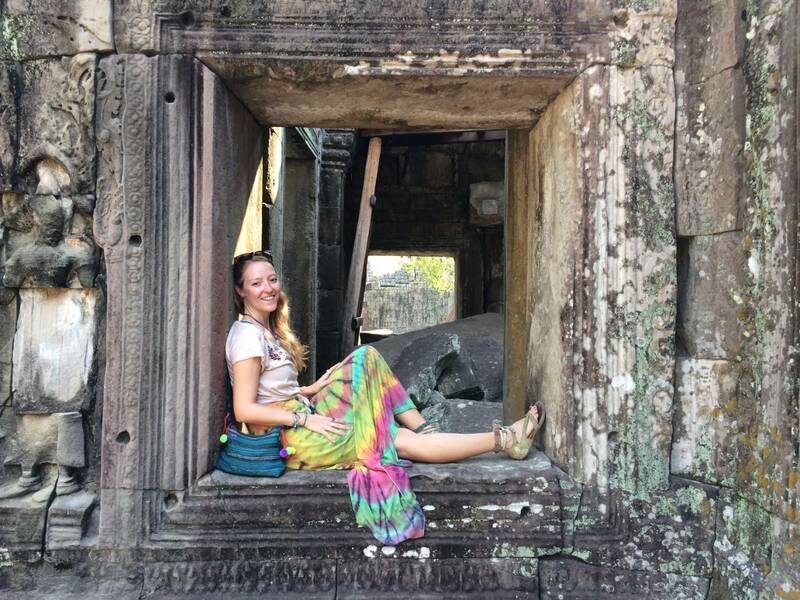 Before Leah “officially” became a digital nomad in 2014, she worked for an e-commerce company in Boston, managing their operations and logistics. After leaving her full-time job behind, Leah started freelancing as an e-commerce consultant and also launched a product, ‘Get Dirty With Me’. 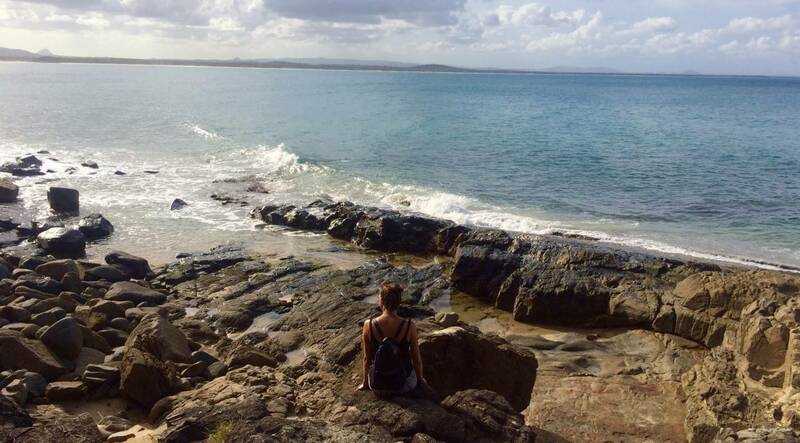 Leah is optimistic about the future of the digital nomad movement for Australians, and is always encouraging of others taking the same route. We hope this step by step guide to becoming a digital nomad will help and inspire you to find your own location independent career. 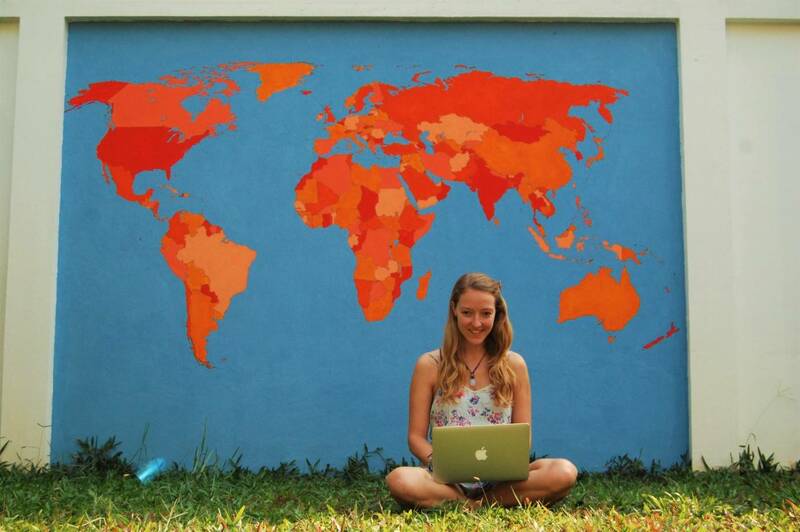 Have you thought of becoming a digital nomad? Download our infographic on digital nomads.